As I said in my last book review, I don’t read a lot but I did try to make it my goal to read a little more. 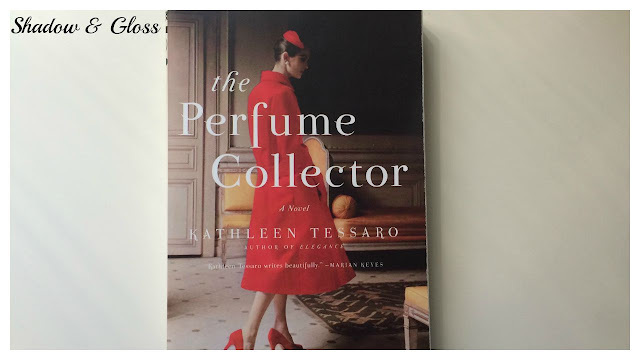 The book I’ve most recently finished (as in I’ve been reading it for months) is The Perfume Collector by Kathleen Tessaro. The Perfume Collector by Kathleen Tessaro is a novel that brings history, beauty, and desire into one story. Set partly in the 1950’s and partly in the 1920’s, this book weaves together the story of the newlywed Grace Monroe and a perfume creator and his muses. Grace Monroe, a newlywed in London in the 1950’s, doesn’t quite fit in with the society's norms of a typical socialite. When she receives an inheritance from an unknown benefactor, Grace is compelled to discover their identity and their story. Taking a trip to Paris, Grace uncovers the story of the woman who inspired one of Paris’s greatest perfumers. Eva d’Orsey’s story is immortalized in three evocative perfumes, each telling part of the back story weaving through New York, Monte Carlo, and Paris. Tessaro manages to tell a story in multiple parts from different perspectives that impresses upon you and leaves you thinking. This novel was an intresting look at the creation of perfume, the elements that go into creating a scent, and the memories a scent can provoke. This book is a great summer read for anyone with a side that loves historical fiction. This novel could become a little slow at some points and for me was, unfortunately, not always a page turner. The reader understands more of the mystery surrounding Eva d’Orsey than Grace does at some points which can then turn the book into something a little tedious to read. However, I think it is a style of reading you have to get used to - at the beginning I hated this book, I almost didn’t finish it, but as you keep reading you start to have a deeper understanding of the characters and of the plot making it a much more enjoyable read. I’m down for any book that manages to incorporate a little bit of beauty or fashion and I think this novel did an amazing job of showcasing a side of the early perfume industry that you often don’t hear about. I liked all the characters and I think Tessaro did an amazing job at making you really feel what the characters were feeling. Overall I really did like this book. And although, I thought it may have been a little slow and tedious at some points, overall it was a very intriguing and interesting book.This would be perfect for anyone who likes historical fiction or anyone even a little interested in the early perfume industry. Let me know what you guys thought of this book! Just make sure not to give any spoilers away. ALso comment anything you want me to read down below and I’ll be sure to check it out!